Okay so now that my husband is back and were done moving, I’m done studying for my personal trainer test ( Took it and killed it ) We have a handle on the whole parenting thing I feel like we finally can catch a break and go back to our boring normal life’s ( That I love btw ) Well one of the normal things we do is try all sorts of new recipes ( Healthy Of course 😉 ) I’m looking into the Paleo Diet and also Clean eating. So this is what I have learned about the Paleo Diet- And Im not sure how easy it would be to stick to this one just b/c I love sweets so much But I have heard it comes with great results and mixes very well with Crossfit. Chef Ric Orlando, a pioneer of clean eating and the author of “We Want Clean Food,” takes a more organic, local approach to clean eating. He recommends local foods because they have less impact on the environment. Clean eating for Orlando doesn’t limit protein or fried foods. Natural chicken, sustainable seafood, grass-fed cow’s milk are some meat options and he suggests frying with non-genetically modified oils. Now I think this one is much more do able for us. We have tried one recipe so far it’s under my recipe page the Jambalaya and it turned out great! Now on to what my post is about- BACON! Now that we are pretty into crossfit I hear the word bacon tossed around a lot! And for the longest time Me and my husband thought bacon was bad! And I think most of society feel’s that way. Well b/c I kept hearing this me and my husband had to google this! ( Google knows all of course! ) Well this is some info that we found! And I found it very interesting how misinformed society is. 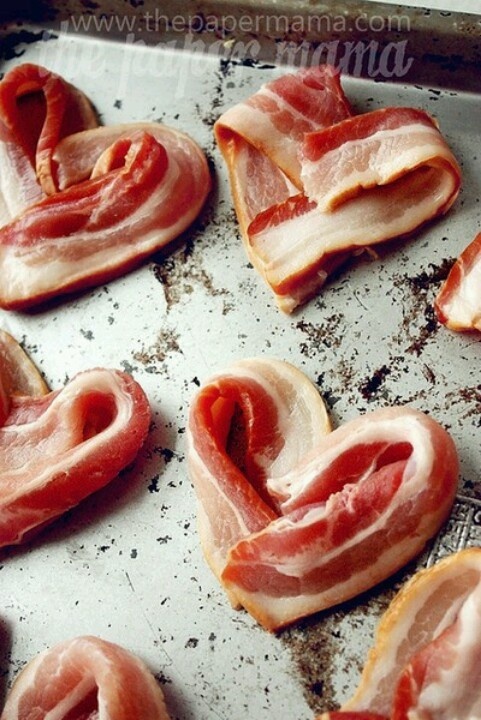 So, why is this love of bacon important to the Crossfit community? And what do you need to know about bacon as it pertains to your diet. Also, I’m assuming you’d rather not clog your heart so…what do you do to avoid that? **Please keep in mind I’m talking high-quality pork and consumption in moderation. Over-doing anything will eventually become bad for you. 1.It’s a great source of monounsaturated fat. The GOOD fat that actually helps lower your bad cholesterol level. 2.It’s a great source of protein. A breakfast including bacon may actually help you lose weight because it helps keep you feeling full until lunchtime. Protein also turns to muscle, which is only slightly important to a Crossfitter. 3.One of the main reasons it used to get a bad rap was due to nitrates being present (only in OVERCOOKED bacon), which in large doses over time could lead to cancer. Well, you are about to learn how to make bacon yourself so…you’re ok in that area as well. There are a few issues that arise with a steady diet of bacon. It’s expensive, there are a million varieties with different fat levels, and each one cooks and tastes a little different. So, like a complicated Olympic lift, you better just learn to do it the right way yourself. In the end I think you’ll find It’s easy, it saves money, and it makes a great gifts for friends! Now this being said I no longer feel bad about indulging in bacon and real bacon not turkey bacon ( Neither me or my husband like Turkey bacon! ) on occasion!